awesome office, Dr. Athar explained everything in such a fashion that everything was well understood!! Highly recommendyou will not regret going to this office for any dental work you need performed. awesome office, Dr. Athar explained everything in such a fashion that everything was well understood!! Highly recommend you will not regret going to this office for any dental workyou need performed. Dr. Athar graduated with honors from Benedictine University with a B.S. in Biology and Chemistry. She completed her Doctorate in Dental Surgery from the University of Illinois at Chicago College of Dentistry in 2008. She is a firm believer in staying up to date with advances in dentistry and has hundreds of hours of continuing education. Her approach to dentistry is simple: to provide the best care to her patients. 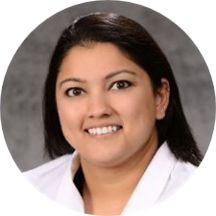 Dr. Athar uses a team effort, including her patients to develop and execute and ideal plan with the best outcomes. She strives to make a connection with every patient and get them involved in their care. Dr. Athar is a member of the American Dental Association, Chicago Dental Society, Illinois State Dental Society, Academy of General Dentistry, ßßß honor society and the Chicago chapter of ?S?. Dr. Athar and her husband live in Elk Grove. In their free time, they enjoy volunteering in their community, cooking, relaxing with friends and spending time with their Jack Russell Terrier, Buddy. Awesome staff! Everyone is so professional, kind and polite. Excellent. Took care of the my bad tooth right away.